We’re very excited to introduce our new Everyday Objects collection, a range of thoughtfully made everyday items designed to inspire creativity and good work. The first edition features new minimal Layflat Notebooks and wooden Colourblock Pencils. Each item designed as the perfect tool, with careful attention paid to even the smallest of details. The collection is a testament to our belief that good work takes time to produce, and often starts by going right back to basics. This ethos is illustrated by the simple shape motif you’ll find on each piece in the collection. Our Everyday Objects Notebook is made with our signature layflat binding, sewn and cold glued so that the spine remains flexible. This flexibility enables the book to lay open, essential for resting your notebook at a desk so you can ponder it’s pages quietly. The minimal styling is intended to enhance and never distract, keeping your mind focused on all of those ideas in the making. You’ll find small visual details at points of the book which are most used, such as a triangle motif where you’d pull the spine from a shelf. These notebooks are made to last. To keep, stack, collect and reflect on. 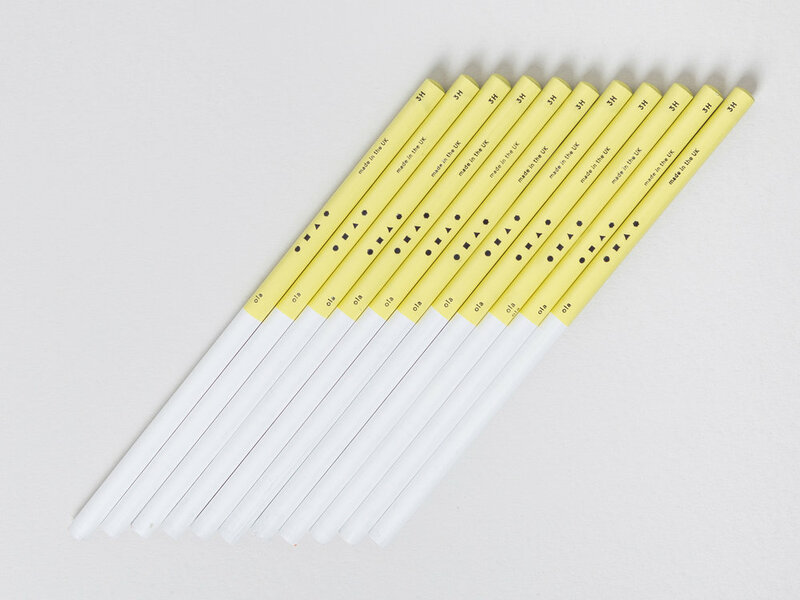 Our new Colourblock Pencils have been made in the UK, by a small family run mill based in Nottingham. We’ve created each with a different lead - you can choose from 3B, HB, 3H and orange (or not choose and pick up all four!). These are easily identified by the tonal colours of the lower half, so that while you’re sketching, shading and highlighting you won’t waste time rummaging through your pencil case to find the right grade. Explore our Essential Apparatus edit, to find out more about the range.